Replacement: None. 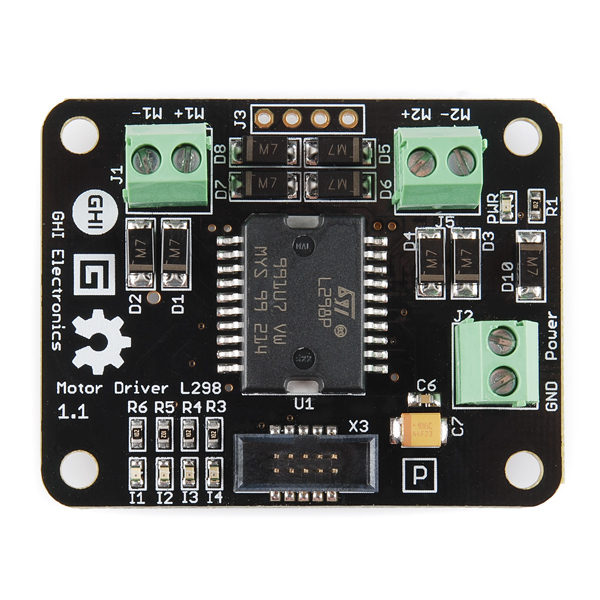 We are no longer carrying this motor driver in our catalog. This page is for reference only. 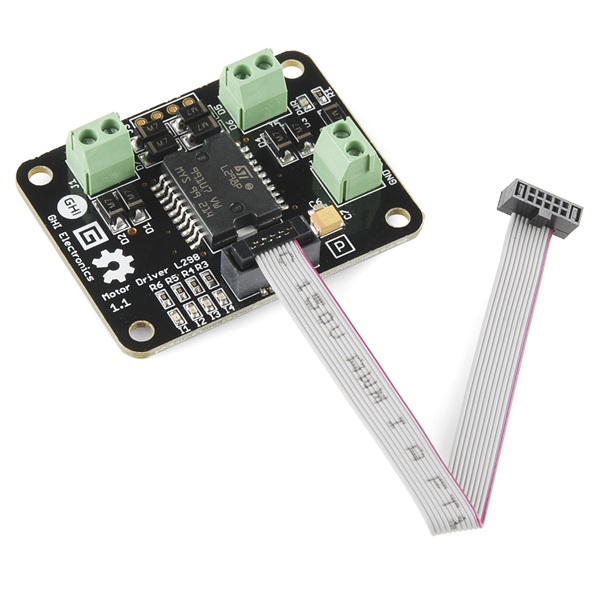 Give your next .NET Gadgeteer project some 'get up and go'! 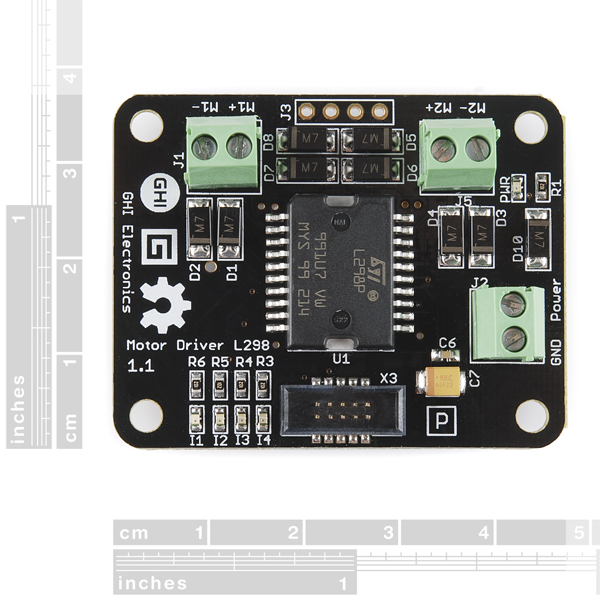 The Motor Driver Module is based on the popular L298 dual full-bridge driver. What does that mean? 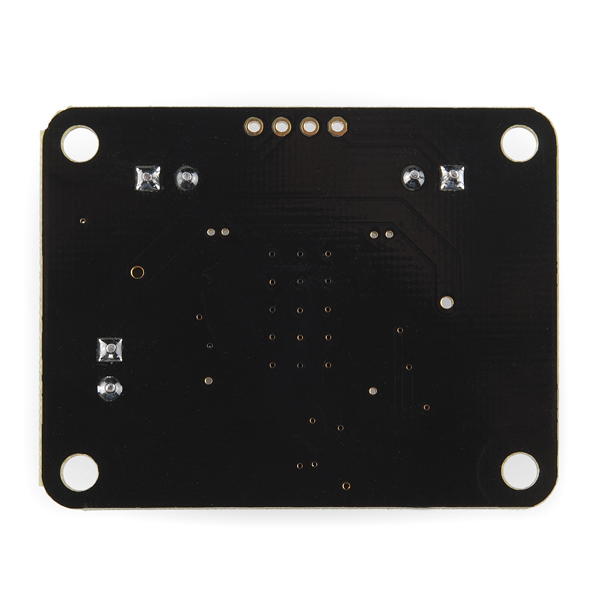 It means that, using this module, your gadget could control the speed and direction of two DC motors up to 40V 3A! The module will draw its operating power from the Gadgeteer mainboard, but there is a separate voltage input for the motors so you can hook up a battery or other external motor supply.